Bangladesh sea level rise | Climate Etc. On the complexity of sea level rise in the Bangladesh delta – global warming may be the least of their concerns. Bangladesh will be among the most affected countries in South Asia by an expected 2°C rise in the world’s average temperatures in the next decades, with rising sea levels and more extreme heat and more intense cyclones threatening food production, livelihoods, and infrastructure as well as slowing the reduction on poverty, according to a new scientific report released today by the World Bank Group. “Bangladesh faces particularly severe challenges with climate change threatening its impressive progress in overcoming poverty,” said Johannes Zutt, World Bank Country Director for Bangladesh and Nepal. “Bangladesh has demonstrated itself as a leader in moving the climate change agenda forward. In Bangladesh, 40% of productive land is projected to be lost in the southern region of Bangladesh for a 65cm sea level rise by the 2080s. About 20 million people in the coastal areas of Bangladesh are already affected by salinity in drinking water. Rising sea levels and more intense cyclones and storm surges could intensify the contamination of groundwater and surface water causing more diarrhea outbreaks. Abstract. Evidence is presented from three estuarine tide gauges located in the Sundarban area of southwest Bangladesh of relative sea level rise substantially in excess of the generally accepted rates from altimetry, as well as previous tide-gauge analyses. It is proposed that the difference arises from the use of relative mean sea level (RMSL) to characterise the present and future coastal flood hazard, since RMSL can be misleading in estuaries in which tidal range is changing. Three tide gauges, one located in the uninhabited mangrove forested area (Sundarban) of southwest Bangladesh, the others in the densely populated polder zone north of the present Sundarban, show rates of increase in RMSL ranging from 2.8 mm a– 1 to 8.8 mm a– 1. However, these trends in RMSL disguise the fact that high water levels in the polder zone have been increasing at an average rate of 15.9 mm a– 1 and a maximum of 17.2 mm a– 1. In an area experiencing tidal range amplification, RMSL will always underestimate the rise in high water levels; consequently, as an alternative to RMSL, the use of trends in high water maxima or ‘Effective Sea Level Rise’ (ESLR) is adopted as a more strategic parameter to characterise the flooding hazard potential. The rate of increase in ESLR is shown to be due to a combination of deltaic subsidence, including sediment compaction, and eustatic sea level rise, but principally as a result of increased tidal range in estuary channels recently constricted by embankments. These increases in ESLR have been partially offset by decreases in fresh water discharge in those estuaries connected to the Ganges. The recognition of increases of the effective sea level in the Bangladesh Sundarban, which are substantially greater than increases in mean sea level, is of the utmost importance to flood management in this low-lying and densely populated area. Forecasts of eustatic sea level rise due to accelerated global warming at a given location must, however, be recalibrated to take account of local effects. This is an essential step before identifying any headline rate of change of sea level for this area, as mis-directed planning for future environmental events can involve the livelihoods, if not lives, of millions of inhabitants of the delta lands. Syvitski et al (2009) estimated that the Ganges/Brahmaputra delta, within which Bangladesh is located, is subsiding at a rate of between 8 and 18 mm a-1 due to a combination of deltaic subsidence, compaction and dewatering. The relative sea level changes (RSLC) associated with such subsidence will be in addition to future global warming effects. Evidence is presented from three tide gauges along the Pussur estuary in South West (SW) Bangladesh that show rates of increase in relative mean sea level (RMSLR) of 7.9 mm a-1 at the mouth of an estuary and 2.8 mm a-1 at 100 km inland. These figures differ slightly but not significantly from the generally accepted rate of sea level rise for Bangladesh which is put at between 3 mm a-1 and 6 mm a-1 in most published sources. However, the figures for the RMSLR disguise the fact, shown by the tide gauge records, that the high water levels are rising much more rapidly: at 10.7 mm a-1 at the mouth of the estuary and at 17.2 mm a-1 at 100 km inland. The latter figure gives cause for some concern since it refers to the highly populated and protected polder zone of southwest Bangladesh. Although our analysis indicates that relative sea level rise in the Pussur Estuary is a response to several independent factors including land subsidence and eustatic sea level, the dominant process responsible for increased ESLR is the amplification of tidal range. This process alone is responsible for 57 % of the average observed increase in ESLR. Increases in tidal range within an estuary can be the result of a number of factors including channel constriction by embankments and increased water depth due to sea level rise or dredging. The Hiron Point tide gauge is located on a natural channel within the extensive Sundarban mangrove forest with no anthropogenic influences. Tidal range amplification here contributes only 28.6 % of the observed increase in ESLR, so the observed tidal range amplification at Hiron Point of 5.6 mm.a-1 is likely to be a response to sea level rise alone. In contrast, Khulna is located within the polder area of the SIZ where channels have been constricted by embankments (Islam 2006) and deepened by dredging (IWM 2004), so that, in addition to the natural response to sea level rise, tidal range will be amplified as a result of these anthropogenic activities. At Khulna the total contribution of tidal range to observed ESLR is 83 %. If the rate of tidal range response to sea level rise at Khulna is assumed to be the same as that at Hiron Point, then the anthropogenic contribution to total observed increase in ESLR at Khulna can be put at c. 54 %. In view of these results we adopt a worst case (precautionary) approach and assume a linear trend over the next century resulting in an average increase in tidal range of 1.4m by the year 2100. Existing tidal range in the Pussur is between 3m and 4m, so that by 2100 the tidal range could have increased, on the basis of these figures, to between 4.4 and 5.4 m.
In contrast to the impact of tidal range amplification on ESLR, the gradual reduction in fresh water inputs to the Pussur Estuary from the Ganges has offset the rate of sea level rise to a significant degree. Proposals now under consideration to partially restore this fresh water flow via the Gorai River (Haskoning 2001) would result in an increase in the rate of rise in ESLR. These results indicate that any restoration to pre-1950 Ganges discharges would increase the rate of increase in ESLR in the Pussur Estuary by an average of 40 %. Eustatic sea level rise will, of course, remain essentially spatially constant throughout the region. Subsidence rates will vary locally but are not expected to be significantly different from those in the Pussur Estuary. Since polders have constricted all of the upper to mid estuaries in southwest Bangladesh, it seems reasonable to conclude that the increase in tidal range noted in the Pussur estuary could apply elsewhere. The reduction in rates of sea level rise due to loss of fresh water inputs, however, applies only to the Pussur and its adjacent estuary, the Baleshwar, which alone are connected to the Ganges. Thus, in the remaining estuaries, the mitigating effect of fresh water reduction will not have been felt and it is to be expected that ESLR will be increasing more rapidly than in the Pussur. We conclude that the rates we observe in the Pussur are likely to apply elsewhere in the Sundarban and indeed could be exceeded where fresh water inputs are absent. The results presented here indicate that the average increase in ESLR for the Pussur Estuary of 14.1 mm a-1 will mean that by the year 2100, and without any contribution from global warming, sea level will have risen by 1.24 m with a 95% confidence range from 0.64 m to 1.85 m. The worst case prediction for Khulna in the vulnerable polder area will be an increase in ESLR of 17.2 mm a-1 or a total of 1.51m (±0.42m at P = 95%) by the year 2100 (Table 7), again without any contribution from global warming. This prediction assumes that the increase in tidal range observed over the past 50 years will continue at a linear rate. We suggest that this assumption provides a necessary precautionary approach in view of the potential risk to the large population of the Bangladesh Sundarban. The proposed increase in fresh water input to the Pussur would mean that these rates would increase by an average of 40% increasing to 51% at Khulna. The existing rate of increase in local ESLR must, however, be in addition to any eustatic increase in sea level due to global warming. As noted above the range of predictions for sea level rise due to global warming is large: ranging from 0.5 m to 2.0 m by the year 2100 (Nicholls et al 2011). Adding this range to our worst case prediction for the Pussur Estuary as a whole, results in a predicted total rise in ESLR of between 1.74m and 3.24m (± 0.6m at P= 95%) by the year 2100 (Table 8). Within the vulnerable SIZ, however, these predictions increase so that, at Khulna, the total predicted sea level rise by 2100 ranges from 2.01m to 3.51m (±0.42m at P = 95%). Based on long term records from three tide gauges located in the Pussur estuary southwest Bangladesh, it is concluded that sea level rise in the Bangladesh Sundarban is significantly higher than had previously been assumed. This increase is largely a response to anthropogenic processes, principally estuary channel constriction by embankments, resulting in amplification of the tidal range along these channels. We show that, in such an area of tidal range variation, use of the traditional measure of mean sea level can be misleading, and it is proposed instead to use the rate of increase in high water maxima which we refer to as Effective Sea Level Rise (ESLR) as the best estimator of sea-level change for tidally influenced deltas where anthropgenic alterations to channels are present. The combined impact of land subsidence, eustatic sea level rise, tidal range amplification and a decrease in fresh water input results in an average rate of increase in ESLR in the Pussur Estuary of 14.1 mm a-1 rising to 17.2 mm a-1 in the densely populated SIZ at Khulna. This rate is likely to be equaled, or even exceeded, in the other estuaries of the Bangladesh Sundarban where the mitigating effect of fresh water decrease is absent. Proposals to increase the rate of fresh water flow into the Pussur may result in a significant increase in the rate of ESLR in this estuary. Although there are some grounds for predicting a gradual reduction in the rate of tidal range amplification, this is far from certain, and we assume a linear trend in the rate of increase over the next century. If the range of predictions for eustatic sea level rise due to global warming, are included, the total rise in ESLR in the Pussur Estuary by the year 2100 could range between 1.74m and 3.24m. This increases to between 2.01 m and 3.51 m at Khulna, in the densely populated area of the Sundarban Impact Zone. Such an outcome would pose almost insuperable obstacles to sustainable flood protection in this densely populated and vulnerable region. Finally we note that these predictions are based upon the high water values averaged over a month. Flooding is, however, caused not by average events but by extremes. If effective sea level rise is defined by monthly or annual maximum water levels, then the flooding hazard in the Sundarban, and especially the polder area of the Sundarban, becomes of even more serious concern. JC comments: The IPCC AR5 cites emissions-scenario dependent projections for global sea level rise circa 2081-2100 to be in the range 0.26-0.82 m (note this is higher than the range used by Pethick and Orford). Regardless of the exact value, Pethick and Orford effectively argue that global warming is less than half of the expected sea level rise, and maybe only as small as 10%. Policies targeted at trying to help this situation through emissions reductions seem futile. But of even greater concern are WorldBank and other adaptation strategies for Bangladesh will not be adequate if they are targeted only at the global warming piece of the problem. This is a very large geo-political issue with regards to the substantial international (UN, WorldBank) funds targeted at climate change adaptation. Bangladesh’s sea level rise problem is not really driven by climate change – the risks here are that UN/WB adaptation solutions will be inadequate to help them deal with their sea level rise problem, or that Bangladesh will find itself ineligible for international climate adaptation funds. Might Bangladesh become a tragic victim of the UNFCCC/IPCC oversimplification of the climate change problem and its solutions? This entry was posted in Climate change impacts, South Asia. Bookmark the permalink. Might we all, to some extent, become tragic victims? Question from the Audience …And I am curious, if you believe that CO2 is actually the, the—the particular problem is actually the issue, the degree to which you are willing to, to become like France, where instead of having 20% of their power from nuclear, they have 86%. BRENDA EKWURZEL When there was a natural ice age before and when we were coming out of that ice age there weren‘t millions of people, 80% of our population living on the coasts with their high-dollar homes or, maybe fragile homes, not such high-dollar homes. There are many people living in Bangladesh that are squeezed between sea-level rise and the melting of the, the Himalayas and flooding from the land side. And so, we are talking about the fragility of humans adapting to this rapid change, as well as, when— In the past, sea-level rise, you could have, for example, wetlands marching up onto land, and moving inland and adapting and dunes moving inland, right now we have all our infrastructure in its place, and you can see, Miami is stranded out there, Atlantic City is stranded out there, we spend many of— millions of dollars dredging, and, and keeping these unsustainable systems that are not able to adapt naturally anymore because we‘re in the way. And we also are gonna suffer, if we don‘t, uh, make action. I believe we have picked the lowest fruit from the fossil fuel tree. It will be many moons before we deplete it, (stored solar energy), but it is a finite source and assuming human endeavors continue as they we will look to other sources. We will strive to be more efficient in energy usage. Renewable (solar) energy (wind, direct solar,ethanol, hydroelectric and others) when quantified and calculated with reasonable efficiency simply will not meet the needs. Eventually, instead of using energy stored in the outsides of atoms, we will (because we must) use the vast quantities holding the nucleus together. The energy in the universe in manifested there, and there is where we will go. No predictions as to when fossils fuels will become significantly depleted, but we have gone from a world population of about 2 to 7 billion in a hundred years. Amazing!! It happened because basic needs were made available and all that depended upon available energy. I would expect energy usage to accelerate. due to third world development. I think that you may not understand that with sea level rise, particularly in the Sundaran area will be the loss of the protective mangroves along most of their coast. Further, the sbape of the ocean is such that typhoons are funneled into Bangladesh and the resulting storm surge will, undampend by mangroves, carry many miles inland with potential high death tolls and swamping of many thousands of hectares of farmland. We all appreciate — from the confluence of global-scale thermometric, altimetric, and gravimetric observations — that global sea-levels are rising monotonically, without significant decadal fluctuations, in consequence of Earth’s sustained CO2-driven energy imbalance. That fundamental climate-change understanding ain’t likely to change much, is it? Because “Nature can’t be fooled” … and she balances her energy books with radiative energy emission, ain’t that right? Prediction Today’s climate-change understanding has remained fundamentally unchanged since 1955, and likely the main foundations of that understanding will remain scientifically unchanged for the rest of the 21st century (albeit detailed dynamical models will improve). Meanwhile, the global *effects* of climate-change of course will accelerate — especially in low-lying regions like Bangladesh, Florida, Louisiana, the Netherlands, and the Pacific Atolls — as the oceans warm and the polar-ice melts. That’s plain scientific common sense, eh? We know no more about climate than we did in 1955. But burning through the $100 bn you’ve given us has been an absolute ball. We kept it going for nearly 60 years before you noticed. Guess its time for us all to go now before the prosecutions start. Have you looked at the rate of sea level rise recently? There is as much evidence for a decline in the rate of rise as there is for an acceleration. That’s why climate-change denialists so strongly prefer to froth about regionally cherry-picked old/unreliable/poorly documented tide-gauge records, eh Rob Starkey? How long does the current (or a lower rate) of rise have to be maintained for you to not believe that a significant increase in the rate of rise is unavoidable? Zero acceleration in sea level rise. See the reply to John Plodinec’s question (below). Your thoughtful remarks are appreciated, Climate Etc readers! Nothing ‘anti-science’ at all about my remarks. Just reflecting on the consequences of your own admission that nothing new about climate has been learnt since 1955. I have long agreed with you..doing all the supposedly basic stuff…like measuring the oceans, climate sensitivity, or making verifiable useful models has been avoided in the last 60 years. So what did the climos do with all the cash we gave them? Its not ‘anti-science’ to observe that we’ve spent a huge amount of blood and treasure and have nothing to show for it. The cash must have gone somewhere. FOMD: Thanks for putting up the numbers. How does one go from 3.2 mm/a to a meter or more by century’s end, esp. if the rate is constant since 1955? What is the bookkeeping value of knowledge, Latimer Alder? Why do climate-change denialists so commonly account awesome knowledge as a *cost*, Latimer Alder? Denialist accounting (literally) makes us dumber, eh? It is a pleasure to help encourage you to read the climate-change science more broadly and think more deeply about that science, John Plodinec! How long do you wait until your faith in an acceleration is accepted as a mistaken belief? If the current or a lesser rate holds for 10 more years? Climate-science would be shaken to its foundations *IF*: The coming 20 years of sea-level observations reverse the rise seen in the past 20 years. A couple years ago, the denialists WUWT got all frothy, imagining that a rise-reversal was starting. Conclusion As long as CO2 sustains the Earth’s energy imbalance, the Earth’s seas will continue to rise. Woleai Atoll’s WWII runway is still visible, surrounded by jungle, and is not underwater. You ain’t never tried to land on the Wolei airstrip, have yah DocMartyn? It’s a memorable experience! Rising sea-level has lifted Wolei’s freshwater lens so high that water pools on the airstrip. Confidence + ignorance == wrong-ness DocMartyn! Their model is rainfall dependent and they appear to be worried about drought conditions, rather than sea level rise. So we can only conclude, that you have lied, yet again, to support your religious beliefs. LOL … please allow me to assist you to chill DocMartyn! There are no scheduled flights to Wolei … it is necessary to hitch a ride on a small-plane missionary flight, on a catch-as-catch can basis. And oh yes, please have an invitation from the island chiefs *before* you arrive. Be aware too that the Woleians place a *very* high value on respectful good manners, DocMartyn! “If you fly in Google Earth to precisely 7°22’34.85″N by 143°54’28.45″E, you will be standing in water that has risen to pond upon Wolei Atoll’s WWII runway. It is not true. The runway, built originally by the Japanese in WWII has not been resurfaced since the early 90’s. The 2011 report on the Islands fresh water resources examines the hydrology in detail and reports on changes in sea level altering fresh water levels. Seriously DocMartyn, why don’t you take a stress pill and think thinks over and then take concrete steps to learn about low-lying nations? You’ll feel much better for this learning, DocMartyn, you really will! Relevance of your emotive links to non-climatological subjects and tendentious phrasing to my remarks about the lack of anything at all from climatology in 60 years despite $100Bn+ spent escapes me. Why am I entirely unsurprised? Who was the first bookkeeper? Thanks for your remarks. I’m delighted to know that so many appreciate my efforts to remind the academics that they are part of the real world too. But I note that your pean of praise doesn’t cover the question of what did we get for our $100bn? The world awaits your answer AFOMD! No rational basis is provided for your smile-provoking question with its unsupported fiscal claim, which amounts to What have the scientists ever done for us? A candidate one-word answer is identical to the answer supplied to John Plodinec: Acceleration! Thank you for helping us smile, Latimer Alder! Correct me if I’m wrong but a few months ago you selected a very short time span and claimed rapid acceleration. Levels that dr Hansen cites by the end of the century they need to rise exponentially. Sea level rise is regional and varies from place to place from very minor to a greater amount than average, but in many places the land level changes are greater than sea level changes. Thank you, TonyB, for helping Climate Etc readers to a robust appreciation of these two key points of climate-change science! Always a pleasure to educate you by replacing your suppositions with hard facts. Hmmm … these present-day sea-level rise rates are far larger than the mean rise-rate since Roman times. Ain’t that right, TonyB? So the present-day global sea-level rise-rates *already* have accelerated (relative to historical rise-rates). Ain’t that right, TonyB? So how much further acceleration will be induced by AGW, do yah think TonyB? These are natural questions, eh TonyB? Why are Roman harbours inland if sea levels are rising? LOL … DocMartyn, why not read more deeply and become more enlightened? “We are told that the sea level is rising and will soon swamp all of our cities. Everybody knows that the Pacific island of Tuvalu is sinking. Al Gore told us that the inhabitants are invading New Zealand because of it. “Around 1990 it became obvious that the local tide-gauge did not agree — there was no evidence of ‘sinking.’ So scientists at Flinders University, Adelaide, were asked to check whether this was true. They set up new, modern, tide-gauges in 12 Pacific islands, including Tuvalu, confident that they would show that all of them are sinking. And, what if the seas do rise? It has happened before but change is slow. The recently discovered ancient port of Wadi el-Jarf on the Suez is thought to be the oldest harbor in the world. It dates back to the time of the Pharos (2600 BC). It’s submerged limestone anchors and an L-shaped wharf from the shore (determined using a tacheometer) is partly out of the water at low tide: proof that what is fast for the earth is in our terms at the pace of the long slow march of human civilization. Seas rise and fall 14 feet every 12 hours outside my office window in Central London. Amazingly, life continues as normal. How on earth can we do that? Wag, it is the nature of Pacific Ocean reef islands and atolls (such as constitute Tuvalu) that they rise and fall in accordance with sea-level changes. It was never going to be a problem. And if it were, relocating 11,000 people would surely be cheaper than GHG emissions reductions. Full disclosure: one of my friends is related to a former Governor of the Gilbert and Ellice Islands, part of which is now Tuvalu. Another friend married a Tuvaluan and brought her family to Australia, thus reducing the at-risk population. Sea levels rise and fall, which will be largely dictated by the amount of glacier ice that melts or is locked up.. During the Minoan warm period for example many of the worlds glaciers (but not all) had substantially retreated beyond todays levels thereby raising sea levels. The glaciers were replenished during various subsequent cold periods and melted again, thereby raising sea levels (together with thermal expansion) during warm periods. The LIA was the coldest period during the Holocene which replenished the glaciers again. It is those that are currently melting, thereby helping to raise sea levels once more. They have been melting since 1750 or so. 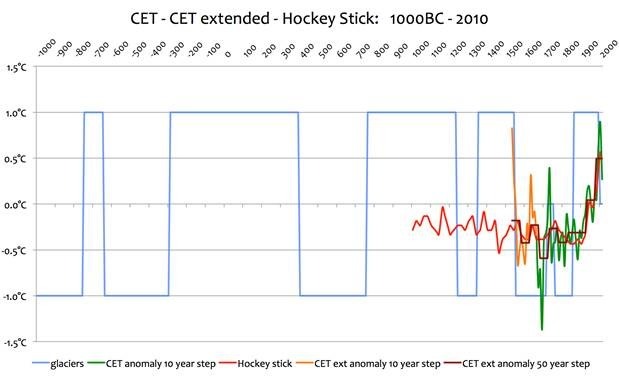 Here is my handy cut out and keep chart of glacier movements over the last 3000 years, usefully graphed against the hockey stick and CET. . Closed blue line at top equals glaciers in retreat, closed at bottom equals advance. No, don’t thank me, its merely a public service Do you think Dr Hansen might like an autographed copy? Do you believe that the earths climate has been stable until GIss started recording in 1880 hence your apparent belief that sea levels, like glacier levels have remained static until around that date? Sea levels rise and fall, we are merely seeing the latest manifestation of that. FOMTrolling’s posts are designed for those who are skimming through, and aren’t going to investigate his links and compare their utility to the links posted by those who disagree with him. I admit to being non-technical in the area of science and climate science, however, I can read, and can at least use rudimentary logic. Once I investigated his links, I quickly found that they are out of date, irrelevant, or that his conclusions cannot be derived from them. The first such “proof” I investigated was his claim of 400 foot “ice keels” for which he provided a link to some anecdotal evidence where an explorer/adventurer claimed, at a distance of miles, to have seen an ice floe some 40 feet or so high. Fan extrapolated this “evidence” himself to prove that there must have been a 400 foot ice keel under that floe. The problem? Using the relationship I found at Wikipedia, I realized only that 7/8ths of the mass of a typical ice floe would be below the water’s surface, which didn’t match TOMTrolling’s assertion at all. If the Observation he linked to was reliable, then the only thing he could have reasonably claimed would have been that the ice floe might have extended as much as 280 feet below the surface – not 400. 40 is 1/8th of 320, leaving only 280. FOMTrolling never acknowledged his error in simple math, of course, and simply blathered on, with more BS. The second link I investigated was a paper he cited dealing with fossil fuel use, which revealed in its very first cite that Fan’s Idol James Hansen, the lead author of said paper, was assuming AGW from the very beginning, and Hansen’s source was an IPCC report from way back in 2007. Further, I noticed that Hansen used the nonsensical and unscientific term potential “fossil fuel reserves” to attempt to make his point. I have noticed other examples, as have other posters here. Still, Fan knows that many skimmers will see that he posts links. Since most of those folks are not bothering to compare the quality, relevance, and inherent biases of them to the links provided by those who disagree with him, Fan knows that to many visitors, he appears credible. Upon even the slightest investigation, he is not. Unfortunately, FOMTrolling, is, well, a troll. He doesn’t really want discourse at all, because discourse implies an open mind, and he doesn’t have one. He wasn’t asking about ‘the scientist’, he was asking about Climate Scientists. I suspect he isn’t annoyed with Biochemists or Astrophysicists. Biochemists, astros, chemists, physicists – any true scientists fine with me. They generally follow the scientific method and care about reliable empirical evidence. But when it comes to climatologists……… :-) ‘Teleconnections’, ‘deep sea heat’, hokey sticks, Lewandowsky…it’s all a three ring circus. Impossible to discern any good stuff (if it exists at all) from all the dross. Did I forget the 110 (ish) models that can’t forecast even 10 years out? And the modellers so lost in their own abstract little world that they never bothered to look through their outside awareness structural devices? For whom real data is a noxious substance to be avoided at all costs? Nesting seems to be all wrong today….not my fault I think. LOL … Latimer Alder, the mind-reading techniques of the Illuminati tell me that the answer to your next question will be: Thames Barrier! It is a pleasure to psychically assist you Latimer Alder! My question was entirely rhetorical. We have known how to handle and live with tides since Man first encountered a shoreline. Many of the world’s great cities are tidal ports. Adapting to a change of six inches in 50 years seems unlikely to be beyond our capabilities given that we successfully live with more than that per hour without any problems. Here is a non-rhetorical question that *EVERYONE* is thinking about Latimer Alder! Q What check-and-balance will protect low-elevation nations and citizens from Big Carbon’s tyranny? That is a serious question, eh Latimer Alder? *Everyone* seems to be a very limited subset even of those contributing to this blog. I do not intend to join that subset. Latimer Alder, please reflect that refusal to contemplate the tyranny of Big Carbon can scarcely substitute for responsibly ending that tyranny. That principle is common-sense for conservatives and progressives *alike*, isn’t it Latimer Alder? So think it over seriously, why don’t you? When I need your advice on what to think about, be sure to know that I’ll ask for it. Until then, I wouldn’t recommend holding your breath. Thank you for this superb example of denialist cognition, Latimer Alder! Your reasoning may make people laugh, make them ill, disgust them, make them pity you, it may do many things my trollish um…troll, but rest assured of one thing. You’re not challenging anybody’s beliefs. Glad to have provided you with the relevant information you clearly need, eh FOMT? fan of *MORE* discourse: that global sea-levels are rising monotonically, without significant decadal fluctuations, in consequence of Earth’s sustained CO2-driven energy imbalance. This CO2-driven energy imbalance did not exist in the 19th and early 20th centuries, yet sea level rise was as it is now, or a little slower. On the whole, it is more reasonable that the rise is independent of CO2 accumulation. Interesting comment about the Pacific. We should look into how many of those 70+ year old nearly sea level runways are faring. oops, I meant or maybe a little faster, comparing then to now. That is a terrific suggestion Matthew Marler! If you fly in Google Earth to precisely 7°22’34.85″N by 143°54’28.45″E, you will be standing in water that has risen to pond upon Wolei Atoll’s WWII runway. And yes, I have stood in that pond upon that runway. a fan of *MORE* discourse: If you fly in Google Earth to precisely 7°22’34.85″N by 143°54’28.45″E, you will be standing in water that has risen to pond upon Wolei Atoll’s WWII runway. A systematic review would probably be worthwhile because sea level has risen in some places and fallen in others. I was thinking of the places I had “visited” in 1957: Guam, Wake Island, Midway, Honolulu. I am sure that we can come back to this. Ok Fan, please help me out. I believe I have seen almost all graphs relating to ‘the rise’. Seems to be constant at about a third of a meter per century. On what study(s) are you basing what would be a significant acceleration? Also, please tell me what you meant by polar-ice melting would raise the ocean level. climate-change understanding has remained fundamentally unchanged since 1955, and likely the main foundations of that understanding will remain scientifically unchanged for the rest of the 21st century (albeit detailed dynamical models will improve). So, we have not learned anything in the last fifty years. Climate change science in 1955 was mostly correct. It has gone downhill since then. As in modelization happens, nature is very, very complicated, and sedimentology in deltas, one of those very complicated aspects. The IPCC and journalists show an abysmal understanding of the Ganges-Bhramaputra delta in Bangladesh and India. Tectonic uplift of the youngest and highest mountains in the world – the Himalayas – causes the greatest erosion rates in the world. Add the heaviest rains in the world – the South Asian Summer Monsoon – and you have the heaviest rainfalls ranging up to 6000 mm/year. to 10,000 mm/year. e.g. 200 inches/year in Darjeeling, 400 inches/year in Charapungee. Add population enhanced deforestation in Nepal. These combine to give massive sedimentation loads via the Ganges and Bhramaputra rivers into the Bangladesh and Indian deltas. e.g. with 289 million tons/year reaching the flood plain. The scientists analysed how the two rivers and the land around them changed in response to the changing climate from 1943 to 2008. They found that the rate of sediment addition was more than the rate of soil erosion during this period — the country gained nearly 1,800 square kilometres of new land, almost five times the area of Dhaka. Delta Growth despite a rise in Sea Level – Has Bangladesh got the all-clear? Annual sediment delivery by the Ganges and Brahmaputra rivers to the Bengal margin has kept pace with sea level rise since the mid Holocene, sustaining subaerial growth of the delta. However, the Sundarbans region of the tidal delta is disconnected from major distributary sources of sediment and is often thought to be sediment starved, eroding, and susceptible to the meter of sea level rise predicted for the 21st century. Despite these assumptions, direct sedimentation measurements on the tidal delta plain reveal widespread mean annualized accretion rates of ∼1.1 cm yr−1 . . . .about ½ of the mass deposited on the lower delta was sourced directly from the seasonal flood pulse of the river; the remaining ½ is derived from older (≥1 yr) reworked sediments. Net sedimentation on this part of the delta traps ∼10% of annual Ganges–Brahmaputra sediment load, with accretion rates roughly equivalent to the mean regional rate of relative sea-level rise (RSLR) of ∼1.0 cm yr−1. . . .
Now for some bright PhD student to take up the challenge of reconciling these very divergent views even of the Sundarbans region. WJR Alexander found six fold variations in river flow before and after solar minima. Do Himalayan rivers show similar correlations? Will global warming increase Himalayan rainfall, runoff and sedimentation? Dutch Dykes have controlled the devastation of the North Sea. After 500,000 were lost to the 1970 Bhola cyclone, hurricane shelters have been built resulting in relatively few cyclone deaths. Bangladesh’s GNI doubled from 2002 to 2011 . How could it adapt over the next century? I mean that, many times the delta is just in that level because that is the actual sea level, if the level changes, the delta changes. I know this I say is an oversimplification, but simply applicating geometry as if coastal geometry was permanent and the only other parameter is sea level rising is an oversimplification too. I remember how in Ebro River Delta, in Spain (a tiny one compared with that in the Ganges) some engineers tried to “save” a sand bar that some one suppose it was at risk, building on it a some meters high ridge. The consequences were the opposite, because the bar was ther because it should be there and with just the little level on the sea that it should have. The high of the bar was a consequence of the level. Cyclones with attendant storm surge are the killers in Bangladesh. Illegal squatting on emergent land, driven by the desire to eat, and the resultant predictable and preventable deaths dwarf the societal destruction of a rising sea level. A new paper finds global mean sea levels rose at only 1 mm/year, equivalent to less than 4 inches per century, over the 203 year period from 1807-2010. The finding is remarkably similar to the sea level rise of 1.1-1.3 mm/yr found by the NOAA 2005-2012 Sea Level Budget, the only sea level budget which reconciles both satellite [altimeters & GRACE] & ARGO float data. The authors also find no evidence of acceleration of sea level rise, which indicates that there is no evidence of a human influence upon sea levels. In addition, the authors find that sea level rise is primarily a localized rather than global phenomenon, with 61% of tide gauge records demonstrating no change in sea levels, 4% showing a decrease, and a minority of 35% showing a rise. This implies relative sea level change is primarily related to subsidence or post-glacial rebound [land height changes] rather than melting ice or steric sea level changes [thermal expansion from warming]. NOAA finds about 3mm/year not 1.1-1.3mm/year. Don’t confuse trends over short periods. The NOAA sea level budget was for 2005-2012 and is the only sea level budget that reconciles satellite [altimetry + GRACE] and ARGO float data. Therefore, considerably more reliable than altimetry alone. Why since 2005? Because the data from GRACE and ARGO to reconcile the budget are only available since 2005. The same altimetry data from the past has been repeatedly “adjusted” many times over, and just like temperature records, always in a positive direction. Global tide gauge data shows sea levels rising at about the same rate as the NOAA sea level budget over the past 200 years with no acceleration. [Tide gauge + GRACE + altimetry + ARGO] is always superior to “adjusted” altimetry alone. The period 2005-2012 is too short for any meaningful comparison. Global tide gauge data shows sea levels rising at about the same rate [1-1.3 mm/yr] as the NOAA sea level budget over the past 203 years 1807-2010, with no acceleration, a far longer record than the highly-upward-adjusted altimetry. Some say oh that is just Beenstock, but I found his paper highly informative Hockeyschtick. I found this paper was very informational. I advertently posted my earlier comment before it was corrected and completed. I, of course, meant the Clean Air Act (1970, 1990) and other global efforts to reduce air polllution. Just as the planetary cooling that occurs when a large volcano erupts ends after the pollution has settled out, warming will naturally occur when other atmospheric pollutants are removed. As the Clean Air Act was implemented, warming naturally occurred, but was wrongly attributed to greenhouse gasses, rather than simply toto cleanaer (more transparent) air It is no coincidence that most of the warming occurred after passage of the Clean Air Act. The “pause” in dditional warming over the past 15 years, in spite of steadily increasing CO2 levels, is further proof that tghe observed warming was not kcaused by greenhouse gasses. In addition, today’s somewhat elevated temperatures miror those of the 1930’s, which were also caused by cleaner air (due to the large decrease in industrial activity during the Great Depression. Again, CO2 played no role in that warming, keither. Unfortunately we cannot confirm this with NASA because supposedly due to the lapse in federal government funding, their website has been shut off. But, we know that wouldn’t save two cents. I think it is important to know that we are all doomed and I sincerely regret this inconvenience. Sure, sure, you may read on the Space.com site that–e.g., “We have nothing to fear from the big change that is about to occur on the sun…” But, that is not your government speaking. Oh no. Sure, sure, no problems, but… NASA has already closed up shop and made a run for it. Time to PANIC! Perhaps something the UN-IPCC might find useful to help explain what happened if there are cold 2013/14/15/16…etc. winters in Europe–e.g., now America has caused the flipping Sun’s magnetic field to change! A new paper published in Environmental Research Letters finds multiple solar amplification mechanisms by which small changes in the solar wind and interplanetary magnetic field [IMF] have significant global effects upon atmospheric pressures, the jet stream, weather & climate patterns such as the North Atlantic Oscillation [NAO], storm tracks, Eurasian winter temperatures, and the breakup of Arctic sea ice. The paper helps me better understand Jet Stream vortices and blocking highs and lows; Rossby Wave impacts: and a better appreciation of the Sun’s magnetic field impacting mid-latitude pressures. I wonder why no-one has remeasured William Bligh’s measurements of sea levels that were taken about 250 years ago at various islands all over the Pacific. Probably because the technique, timing, exact locations, and general range of error are so uncertain that they would be fairly useless. A better description of paleo climatology cannot be stated. And there is poor data on the changes in the local land height over time where the measurements were made? Murry Salby shows IPCC’s interpretation of CO2 content in ice cores is only off by a factor of up to 10! ie 1000%. Not bad for 95% confidence based on an argument from ignorance! Unfortunately for Salby and his rather wacky ideas, other paleoclimate data gives exceptional confirmation to the ice core CO2 data. Those who give any credence to Salby’s ideas on this particular topic display their own extreme ignorance. From the sediments of a Siberian lake, the paleoclimate data completely shot down Salby’s “hypothesis”. Do have these from me files fer Australian sea records. New Zealand,1903 to present, Fort Denison, Sydney,1914 to present. above sea level, only 2 1/2 cm different to its current position. Sea level rise or not it would appear that the local effort should be to study what the Dutch have done and see if Dikes would be an appropriate solution to existing and potential future problems. I’m guessing but suspect the Bay of Bengal has greater storm surges than the North Sea, rough as it can be. Bangladesh is an unfortunate economic basket case. It’s two principal political parties are the secular socialist Awami Party, and the Islamist Bangladesh Nationalist Party. With the UN and World Bank giving them economic advice, from the European and U.S. progressives who brought us the economies of Portugal, Italy, Greece, Spain, California and Illinois (all on the verge of economic collapse), sea level rise is the least of their worries. If progressives ever tire of using the billions of third world peoples as their guinea pigs for social and economic engineering, they might actually have a chance. I observed an increase in the level of the land. Perhaps this new science overtakes the science in these links, which finds, from satellite images, a slow annual growth in Bangladesh’s land area. Or, as seems likely, some parts of Bangladesh are sinking, as glacial silts compact and are not renewed, while other parts are renewed by deposit of silts and are growing. Now there is a statement which sums up the whole CAGW movement. Distract everyone from the real problems (social, political, whatever). BTW, how’s that flood control fix in New Orleans coming? Bjørn Lomborg made similar comments years ago which upset the team. Judith, the contrast between the World Bank alarm and the science of the Ganges estuary in Bangladesh is fascinating. I did some quick fact checking, since in Gaia’s Limits used a map of Southeast Asia concerning an overstated one meter sea level change, and there is nothing like a 40% reduction even in the coastal areas of the country. The coastal area is defined as up to 150 km from shore, and includes 30% of arable land. Plainly, 40% of that is not going to disappear even with 1 meter sea level “rise” since the average coastal elevations still tens of meters. Any low lying losses could be prevented by making that land into polders as has been done by the Dutch and will have to be done in Thailands Chado Praya estuarynto save Bangkok by 2030 (bangkok is sinking at a rate of 8-10 cm/ yearbdue to compaction and subsidence from fresh water withdrawal. The reason polders are not being built in Bangladeshnis not only poverty. It is heavy metal ( arsenic) contamination from the shallow tube wells used to draw drinking and irrigation water in the region, which enabled its population and agricultural expansion in the first place. The arsenic is insoluble as originally deposited below the water table. As the water table is drawn down, the arsenic oxidizes to a soluble form, leaches into the water table, and poisons the well and any land watered by it. Methinks climate change is an excuse for a basket case nation to seek more international aid for problems having little to do with climate. Curtailing CO2 won’t solve any of the basic problems in the country. Well said Rud. Perhaps you are too polite to say it, but the real problems that you outline are largely caused by overpopulation of the whole area. I always amazes me just what fools occupy positions of authority within the world bank. Either that or they actually know their climate “reports” are simply scaremongering in the hope of extracting greater levels of finance from richer nations. It’s not so long ago they produced a report claiming up to 8 degrees of warming expected by 2100. JB, I wrote a whole book on this, Gaia’s Limits. Too polite, no. But factually exact, yes. Thank you for your spot on comment. And, the tube wells were recommended by the UN to provide uncontamined water to avoid diarrhea, which decades ago killed about 1/3 of Bangaldeshis from surface pollution. Now 1/5 of those wells are arsenic contaminated and ( estimates of course vary), 1/4 die from arsenic poisoning. You do the research in this yourself, and draw the inevitable Malthusian conclusions. Well, you learn something new every day, eh? Rud, Arsenic isn’t a heavy metal. In fact, it’s not a metal, however it behaves kind of like one for certain purposes. Practically speaking, “heavy metal” really means lead and mercury. Most of everything else described as “heavy metals” are either not metals or not heavy (or neither in the case of As). Bismuth is a heavy metal (next door to lead), but not particularly toxic (and in fact is used in medications). Harold, both the metalloids arsenic and polonium are now included in the definition of ‘heavy metals’. The term ‘heavy metal’ is a general term for those metals and semimetals with human or environmental toxicity. If you do a posting on the iopscience paper you mentioned above could you include your thoughts on the significance or relatedness of the theoretical causes of “Lunar Swirls” in regards to possible terrestial Solar-weather coupling? In the article embankments are mentioned as a problem. I am reminded of the Red River which flows North into Canada making the Spring melting interesting (ice dams form in the North) for people who have settled in a natural flood plain, whose dominant feature is flatness. A story I cannot confirm is that, if one builds an embankment on one side of the river, your neighbor on the other side of the river may be tempted to sue you for harms caused. It’s farmland around the river and everyone is wanting to drain it. They want to get into the fields in Spring, the earlier the better and water and mud makes that difficult. That traditional approach is to drain baby drain. But that can push the problem elsewhere. During a Spring flood, one basically wants others peoples embankments to fail, so the river spreads out elsewhere and takes the pressure off one’s own embankments. The whole system seems subject to the rules of positive feedback. Waffles. If you zoom in on the map you can see the section roads. 1 mile per side. Generally the roads are raised, and there is generally drainage in place, creeks and ditches. The waffle structures are already in place to retain water. It looks like the farmers would have money thrown at them for reducing the crop output of their farmland. I see the possibility of still being able to have a crop, just one that matures in less days. It is a local problem and it was caused by man. He has changed the land, and Gaia is trying change it back. I have commented elsewhere on this subject. Changing land use in the form of faster drainage is causing indications of climate change from CO2 but is only change from altering the landscape of many square miles of flat former lakebed. Are you a Vikes fan? I agree, there are lots of changes going on. What effect does a major river spilling its banks have compared to trying to restrict that natural occurance? I no longer tie myself emotionally to the four Super Bowl loss Vikings. I still keep up with the soap opera aspects of it though. Bangladesh IS the Ganges/Brahmaputra delta and it is sinking at a rate 2-5 times the average rate of global sea level rise. Much of Bagladesh could easily be described correctly as a tidal flood plain, currently less than 24 feet above present-day sea level. If it is really sinking at 0.7 inches per year, it will have sunk 6 feet by the end of the century. That plus the expected long-term sea level rise (regardless of GW) of approximately 1 foot, puts a lot of Bangladeshi real estate under water, even before the relatively common occurrence of cyclonic storm surge. Dr. Curry is absolutely right — focusing development money on combating the wicked climate problem is foolish. Mediation for the known, sure inescapable threat of subsidence must get started. Prof Curry: Policies targeted at trying to help this situation through emissions reductions seem futile. But of even greater concern are WorldBank and other adaptation strategies for Bangladesh will not be adequate if they are targeted only at the global warming piece of the problem. They could in fact be worse than futile, if they directed labor and money away from projects that have a chance of success toward CO2 mitigation exclusively. It’s another example of how CO2 mitigation is not cost-free. It is a reminder of how important it is to consider the natural and man-made variation that is CO2-independent. One notes that embankments are now “anthropogenic”. Well, why not? “Man-made” will never have the same ring, will it? I think we all know the drill by now. I get the impression that a World Banker is a creature so far divorced from risking his own money or money of those he must account to that we need to find another name for a World Banker (beyond what an obvious rhyme suggests). He is unlikely to have much in common with an Amadeo Giannini or Francis Baring. He has more in common with the intoxicated driver of a tip-truck who is not sure how he got his load or where he should dump it. The most reliable solution to the complex sea-level predicament in Bangladesh would be a system of dykes, such as built in the Netherlands. Alas, the country is enormously poorer and coastline is more than an order of magnitude longer. Rising sea level is a serious problem for Bangladesh. There already has been about a foot of sea level rise over the past century. They already have experienced severe damage and destruction on numerous occasions when hurricanes inundate their low-lying areas. The future under continued global warming does not bode well for Bangladesh. Yet, I am afraid that there are still many fundamental-minded climate deniers out there who are of the opinion that bad things only happen to the godless who live in places they can’t find on the map, and that Jesus would never ever again allow god-fearing places like Miami and New Orleans to go under water for a second time in 6017 years. What might “many” mean here, in relative terms? It might mean tens of, or hundreds of thousands, which might be a small number compared to the number of people who have views one way or the other w/r/t potential harm of climate change. So that could be “many” people, but a small % overall. As an observer at this site, I’d say that relatively speaking the number here that would match your description is small. As such, and given that the “skeptics” here are often prone to projecting their views onto the wider public (and hence, underestimate the %’s that do match your description), I’d suggest that if you’re going to make that argument, you might try to be more informative, quantitatively. Otherwise, this point will fall on deaf ears. I’d also point out my guess is that there might be just as “many” god-fearing (if not more) individuals who, in contrast to what you describe, would argue that should places like Miami or NO go under water, it would be because the people living there (being heathens, moochers, etc. ), deserved their fate. Do you want to run that past us again?. You are a very frequent participant on this blog, who regularly seem to be on the losing end of arguments with even your own side. That behaviour is not what most people would associate with the word observer. As always, ChrisM, thanks for reading. I forgot to point out that being an observer and being a commenter are obviously not mutually exclusive. Surely, being a skeptic you must have realized that. I mean you aren’t a “skeptic,” are you? I don’t know what post modernist Engilish you believe in, Josh, but my Oxford defines observer as “a person who attends a conference etc to note the proceedings but does not participate” You give it exactly the opposite meaning. How long have you been noticing the rest of the world is out of step with you? Right Andy, we ‘deniers’ hate the heathen and all people with IQ’s greater than their shoe size. It is refreshing to hear from members of the ‘Team’. You need to be groomed by willard. Steven – I like your drive-by’s over at WUWT, you get them fired up. And I think you do it because its fun for you? Judith, I’d nominate A Lacis @ 5.35 if you do another pass. I dunno. Poor kid is struggling trying to explicate simple physics, but when he gets into the roots of his faith his superior communication skills come to the fore. Give him a chance, he’s showing promise. For some reason, bad things more often happen to the poor. I was recently looking at something from you at Revkins site, there were some interesting comments, but much has changed since then, and even some highly qualified commenters there were making errors in their statements. You being Lacis.I for one am glad to see you back here because it is a combination of things that control climate. 2010 to Lacis. They were not thinking oceans much back then. The fertile flood planes of the delta are the reason that the people live there, Presumably as flooding gets worse. people will move further up the Ganges.The UN may need to buy and reserve land for such an eventuality. ALacis, “Rising sea level is a serious problem for Bangladesh. There already has been about a foot of sea level rise over the past century. They already have experienced severe damage and destruction on numerous occasions when hurricanes inundate their low-lying areas. The future under continued global warming does not bode well for Bangladesh. And how is this related to sea level rise? Just advising lacis to stick to the science. There is a well-defined consistency in you political outlook and understanding of global climate change. Thats weird since I’m a libertarian and believe in AGW. embarassing to watch. downright pathetic. If you are going to be stupid in public please stop speaking for climate science. Go do science, your work there is great. What’s the opposite of a well-defined consistency? an ill-defined consistency? Makes no sense. Mosher is right, you should stick to the science and avoid your childish, progressive, alarmists protestations. I watched a you tube of you vs Lindzen – and you seemed very credible. Now, after listening to your pissant progressiveness, I don’t see you in the same light as before. Your tainted. Since you decided to go down this route, why not take a shot at chastising G North for his embarrassing defense of Mann. DocMartyn, which one of us has personally ‘bin thar, dun that, an’ see’d the elephant’ in the Outer Islands of the Pacific? The position of the FSM [Federated States of Micronesia] is that we can relocate our outer-island and coastal communities on higher ground (higher islands). Yap Government is already allowing their outer-islanders to move to Yap proper which is the main and high island. Relocation is within the country and not outside of FSM because if we even try to approach bigger countries on relocation, then we become environmental refugees and thereby showing the world that we basically gave up on our sovereignty over our islands and gave up our right to live as FSM citizens. We do not want to show the bigger emitters that we basically gave up our right to live on our own islands – you can look at the FSM nationwide climate change policy to better understand that we want to preserve our culture, identity, heritage, etc. That is why we try as much to participate in the international forums to voice out to the bigger emitting countries to lower their emissions so we can live and our future generations can also live in our islands. The Founders and Framers who wrote the US Constitution wisely crafted “checks and balances” to amend [what John Adams wisely called] “the tyranny of the majority”. DocMartyn, what check-and-balance will protect the SFSM Outer Islanders from Big Carbon’s tyranny? You stated, twice, that rising sea levels had caused airfield flooding. Not only was I not true, you knew it was untrue. You lie repeatedly for the sake of your ’cause’. It is rational to believe one’s own eyes, eh DocMartyn? Please allow me to apologize for the increasingly obvious contradictions between the eye-witness evidence of ordinary folks, versus the cherished illusions of climate-change denialism! I bet you spent Christmas 1968 in Cambodia, with John Kerry, in an area now under flood water. “And let us, for Heaven’s sake, lift the terrible psychological burden that you and your predecessor have placed upon the shoulders of all people in the Maldives, who are now living with the imagined threat that flooding will soon drive them from their homes, a wholly false notion that is nothing but an armchair fiction artificially constructed by mere computer modelling constantly proven wrong by meticulous real-world observations. Stockholm, Sweden, October 20, 2009. Bangladesh will flood if there is less and less water on the land. Aral sea is empty, lake Chad is getting empty / Sahara expanding; just simply: less water on land = more water in the sea. Warmist ARE AGAINST BUILDING DAMS and saving water on the land!!!! The message from AR5 is that the ocean is going to rise anyway. The differences between the emission scenarios are in the 10-20 cm range for the 21th century, and if this is all that we realistically can do anything about, any money used to fight rising oceans clearly must go into adaptation. It is a pleasure to answer your thoughtful question, Latimer Alder, and to help increase your knowledge of London. The vast tax expenditures needed to protect London were well-imposed! Give me a break. The India Plate is subducting under the Eurasian Plate at the rate of 2 inches a year. Bangladesh is on the extreme right corner of it. Give me a break. The Indian Plate is subducting under the Eurasian Plate at a rate of 2 inches a year. Bangladesh is on the extreme right corner of the India Plate. It’s a delta. It lives on gigatons of silt dumped by the Ganges from the erosion of the Himalayas. Modern cities are the very worst kind of habitation for such areas. Heed well Canute’s lesson. I want to have some information from reliable source pertaining to possibilities of raw sea salt manufacturing in salt field adjacent coastal area of Bangladesh .Bangladesh imports raw sea salt mainly from India to meet her requirement to produce edible salt, sodium base inorganic chemicals.I think there is ample of opportunities to explore this area to save a good amount foreign exchange.Being a chemical engineer engaged in this profession for long years,I would request any business house in Bangladesh to come forward for necessary R & D works to find out the techno-economic feasibility of this project . 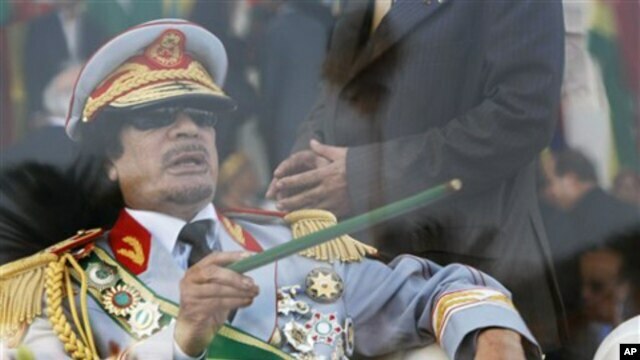 Pingback: Warsaw Loss and Damage Mechanism: A climate for corruption? | Climate Etc. Pingback: Climate adaptation – Bangladesh style | Climate Etc.